Traffic calming and rehabilitation of a half-mile long section of Great Neck Road. Traffic safety study in the Village of Bridgehampton, NY along Montauk Highway (NY-27). 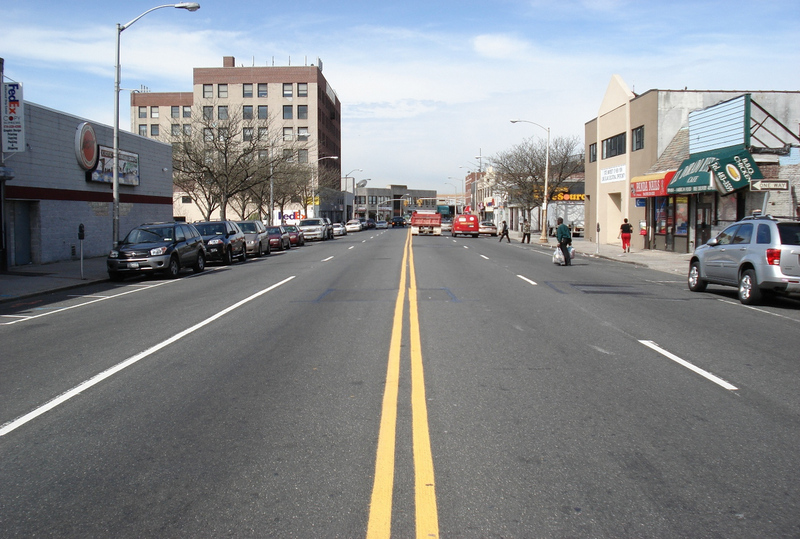 This study, funded by the New York Metropolitan Transportation Council (NYMTC), developed measures to reduce the number of motor vehicle/pedestrian accidents in downtown areas of Hempstead, Uniondale and Roosevelt. Specific recommendations were made for five roadway corridors and 26 intersections. 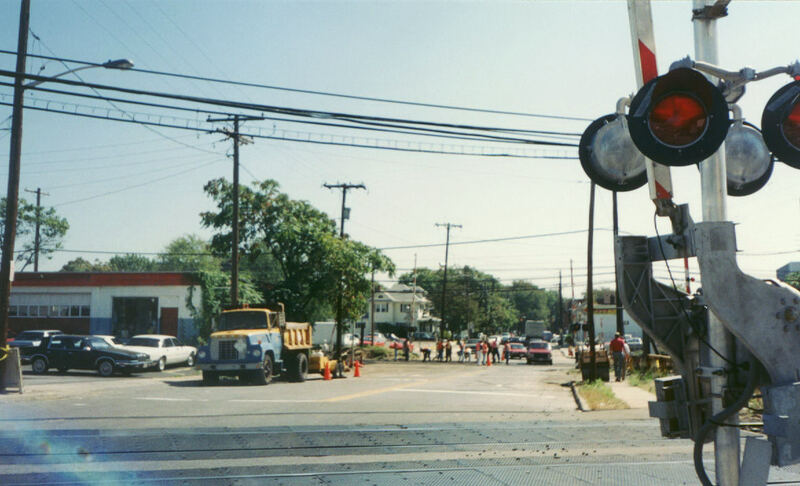 Measures included the installation of traffic signs and crosswalks, as well as traffic signalization improvements, such as countdown and/or audible pedestrian signals and advance pedestrian intervals. A major recommendation of the study was to provide instruction on safe pedestrian travel for students in local elementary and high schools. The final report is posted on the Nassau County Planning Commission’s website. 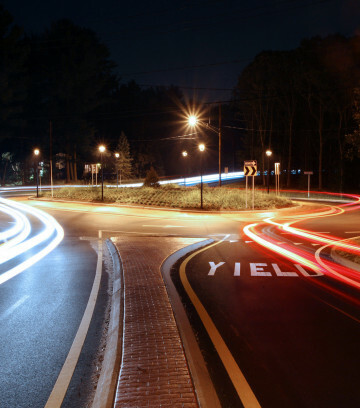 LKMA served as prime consultant for the preparation of traffic signal design plans for NYSDOT in both Nassau and Suffolk Counties on a “on call” basis. In addition to design services, we provided surveying and mapping services. Design included new signals as well as modifications to existing signals, such as the installation of pedestrian signals with “count down timers”. 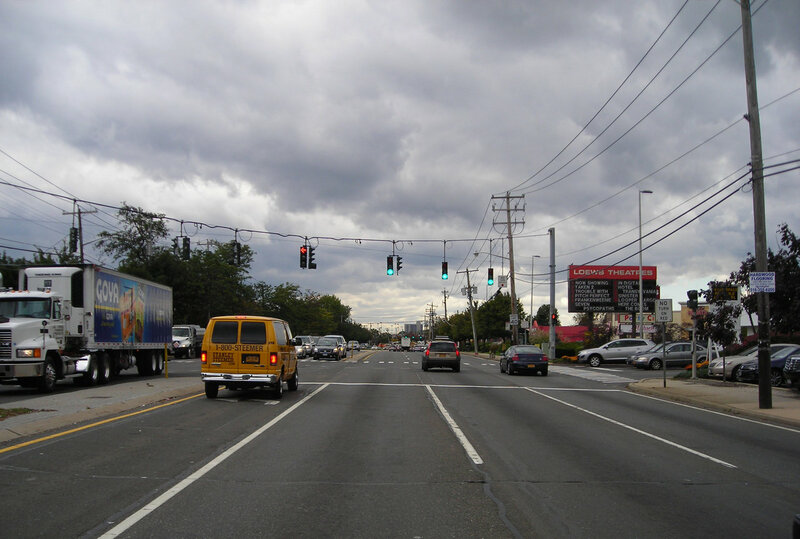 Services included traffic signal installation and modifications on Route 24/Hempstead Turnpike in Nassau County. Over a 20-year period, LKMA has completed twelve projects which have expanded Nassau County’s computerized Traffic Signal System. These projects have rehabilitated over 250 traffic signals and added them to the County’s system, which is based in Westbury. Scores of other signals with newer controllers and equipment were added to the County’s system. Projects included those for State and County lettings. Design work has included data collection, survey, mapping, utilities, traffic signals including railroad preemption, signs, pavement markings, maintenance and protection of traffic, cost estimates, preparation of the project IPPs (Initial Project Proposals), Scope Summary Memoranda, and Congestion Mitigation Air Quality (CMAQ) analysis in order to obtain Federal funding. 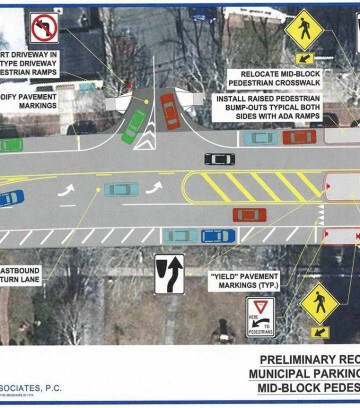 LKMA prepared plans to calm traffic at the intersection of Barstow Road and North Station Plaza in the Village of Great Neck Plaza. 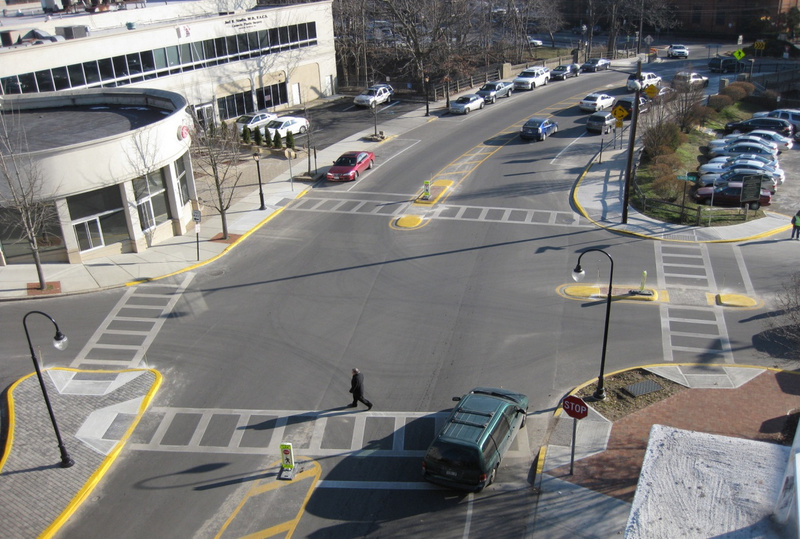 Prior to reconstruction, the intersection was excessively wide, resulting in long crosswalks and prolonged exposure time to approaching vehicles for pedestrians crossing the roadways. 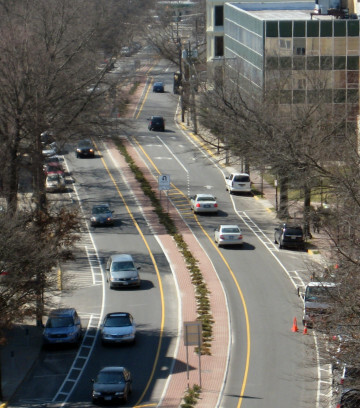 The proposed improvements included sidewalk “bulb-outs” to reduce roadway widths, raised median islands to provide pedestrian refuge areas, and new crosswalk pavement markings. Streetscape improvements included decorative street lighting and brick pavers. LKMA also provided construction inspection services and redesign of the Barstow Road roundabout, located immediately south of the intersection. 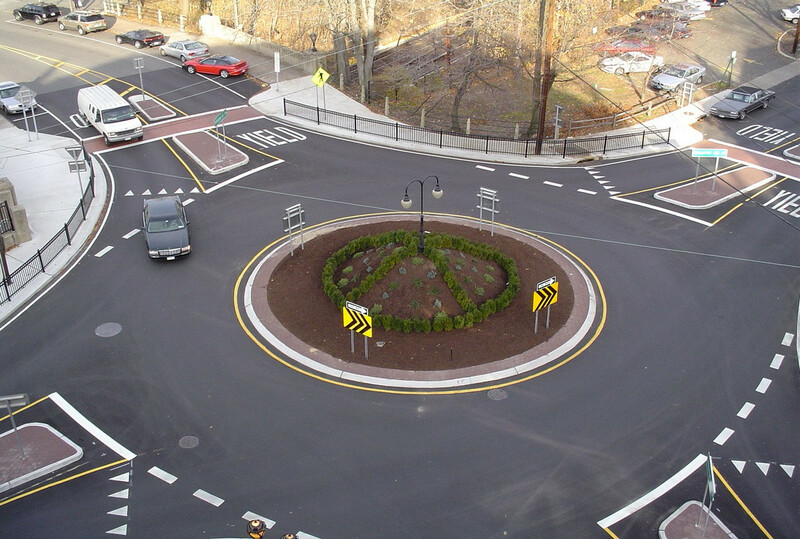 One of the first roundabouts on Long Island, the roundabout safely accommodates vehicular traffic including NICE buses, as well as significant pedestrian activity from the adjacent LIRR train station. 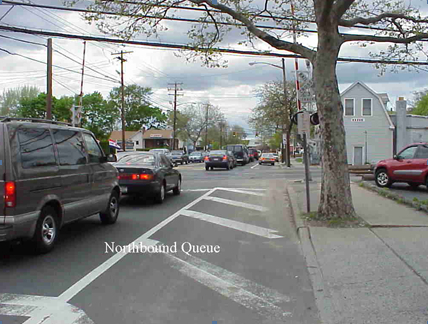 This study, administered by NYSDOT, examined traffic operations at 45 intersections adjacent to LIRR crossings in Nassau and Suffolk Counties. The goal was to safely clear from each crossing any vehicles which may inadvertently stop on the tracks due to congestion at the intersection. At locations where the traffic signal operation is already preempted by approaching trains, the study determined the proper time interval, prior to train arrival at the crossing, when signal preemption should commence. LKMA developed a modified methodology for calculation of this time interval. At unsignalized locations, or at intersections where preemption does not exist, the study recommended appropriate alternatives, such as queue detection, installation of advanced traffic signals at the crossing, or intersection reconstruction. Design plans for implementation of these alternatives were prepared. LKMA is performing signal system timing optimization on various State roads in Nassau County. Work included field inventories of traffic signal equipment, traffic signs and pavement markings; optimization of signal timing using Synchro software; and preparation of signal system timing reports. Signal system timing plans were prepared for five systems during selected weekday and weekend time periods. 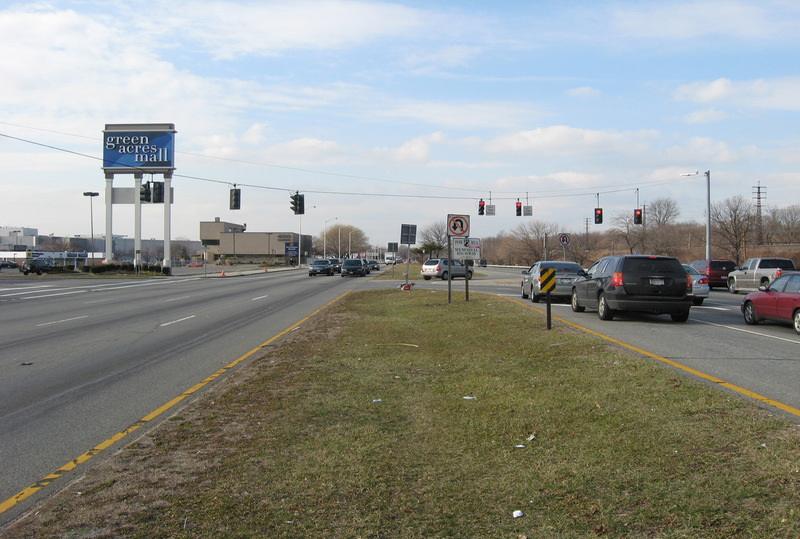 LKMA developed optimal signal timing patterns along NY Route 27 (Sunrise Highway) in the vicinity of Green Acres Mall in Valley Stream. Approximately 60,000 vehicles travel on Route 27 on an average day. LKMA is conducting a Traffic Safety Study in the hamlet of Bridgehampton. Funded by NY State, the study is developing recommendations along multiple roadway corridors within the hamlet which have differing traffic conditions. Along Montauk Highway (NY Route 27), improving year-round safety for pedestrians who cross the roadway in the hamlet’s business district, while not causing additional delays for motorists in the peak tourist season nor adding traffic to local “bypass” routes, is the key objective. On local residential roads paralleling Montauk Highway to the north and south which are heavily used when the highway is congested, traffic calming is the principal objective. 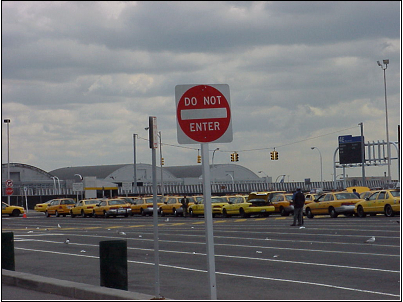 The NY State Department of Transportation is an active participant in the study.